In addition to having multiple purposes, there are multiple methods by which nickel can be plated. One way is by electroplating and the other way is by electroless plating. Nickel coating is utilized in a wide range of applications and industries including: food processing, for plating of items such as kitchen utensils and cookware; industrial manufacturing, in which plating is performed to protect facility equipment and supplies such as storage tanks from corrosion; residential, for the plating of household appliances and fixtures such as bathroom door knobs; petroleum, used to plate essential components such as oil field valves and fuel rails; and automotive, for plating of power transmission parts such as drive shafts. 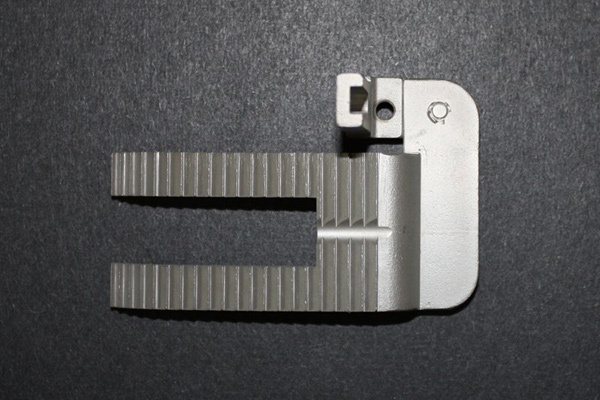 Specific standards that certain types of nickel plating must adhere to are set by organizations such as the American Society for Testing and Materials (ASTM), the Society of Automotive Engineers (SAE) and the Aerospace Material Specification (AMS). The two previously mentioned methods of nickel plating differ in several ways; however, there is one vital distinction being that electroless accomplishes nickel deposition without the use of an electrical current, which is something that is required by the electrolytic nickel plating method. However, nickel is the most common material used in electroless plating processes, and there are a variety of ways in which nickel can be electroless plated. For instance, there are two main nickel alloys that are utilized in electroless nickel plating processes: nickel-phosphorus and nickel-boron. In addition, there are three main types of nickel-phosphorus: low phosphorous, medium phosphorous and high phosphorous. Some characteristics of low phosphorous electroless nickel are a uniform thickness and high corrosion-resistance, particularly in alkaline environments. Medium phosphorous electroless nickel, conversely, has the characteristics of high stability and the ability to be offered in various degrees of brightness including very bright and semi-bright. Lastly, high phosphorous electroless nickel features the beneficial characteristics of low porosity, high stain-resistance, and extremely high corrosion-resistance. Also, there are two main ways in which nickel can be electroless plated: barrel plating or rack plating. In barrel plating numerous small pieces are plated at once, while in rack plating is used for either large parts, fragile parts or complex parts. Nickel Plating Nickel plating is the process of depositing a thin layer of nickel onto another substrate, such as metal or plastic. The two primary purposes for nickel coating are: one, to provide additional material protection from corrosion and wear damage; and two, to endow the substrate being plated with advantageous characteristics of nickel.